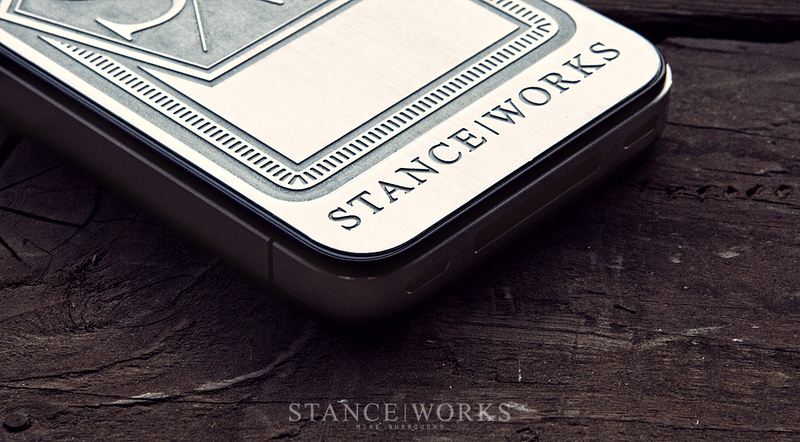 For months we’ve been receiving requests for a StanceWorks iPhone cover solution. We’ve been searching and we’re proud to finally announce that we’ve developed a solution that meets the quality and aesthetics that have become synonymous with the Lowly Gentlemen brand. The Lowly Gentlemen now offer a new spin on iPhone covers with skillfully etched stainless steel backing plates adorned with two intricate design offerings to proudly represent the StanceWorks name. Chemically etched here in the USA, the plates offer a stylish and detailed means of protecting the glass backing on your iPhone 4 and 4S while complimenting the sleek and clean aesthetic of your Apple products. We here at StanceWorks, have been working hard for the past 3 years to be the primary source of aftermarket automotive media, but we couldn’t have gotten this far without the continued support of our readers and fans. 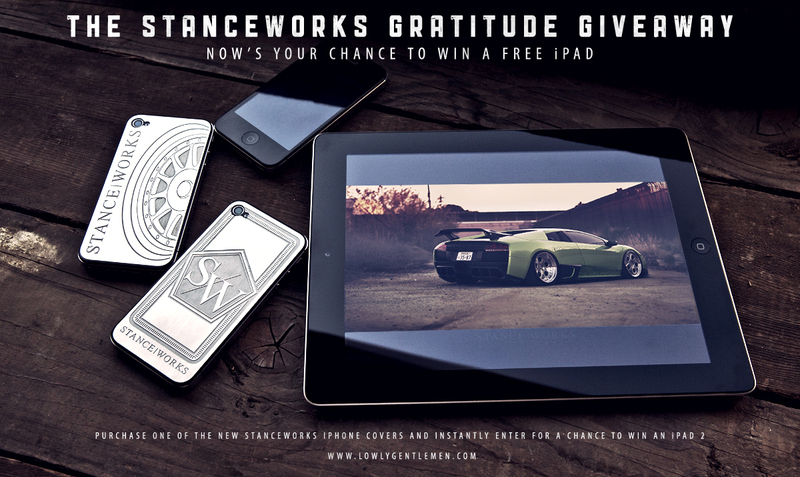 It’s with this sentiment in mind that we’d like to announce the StanceWorks Gratitude Giveaway. With the purchase of either iPhone Steel Cover, the customer will automatically be entered for a chance to win a brand new Apple iPad 2. We are forever gracious for your continued support and we’re just getting started so we look forward to your continued commitment along this road.